The principal shooting for Gopala Gopala is progressing at a brisk pace. After a brief gap, the unit has started a fresh schedule in Hyderabad from today. Some key scenes will shot during this schedule and the major star cast will take part in it. Young actresses, Madhu Shalini and Deeksha Panth have also been added to the cast in this movie. Anup Rubens is scoring music while Kishore alias Dolly is directing this flick. 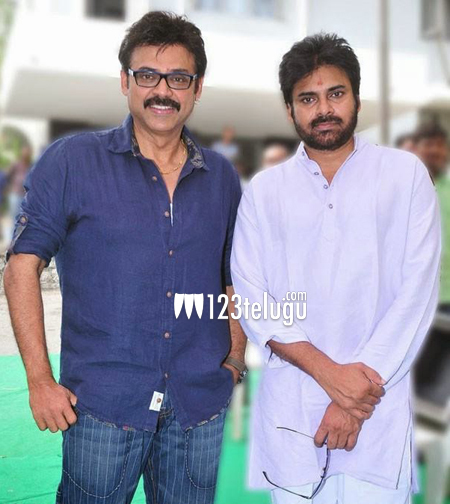 Sarath Marar and Suresh Babu are jointly producing this film which has Venkatesh and Pawan Kalyan in lead roles.